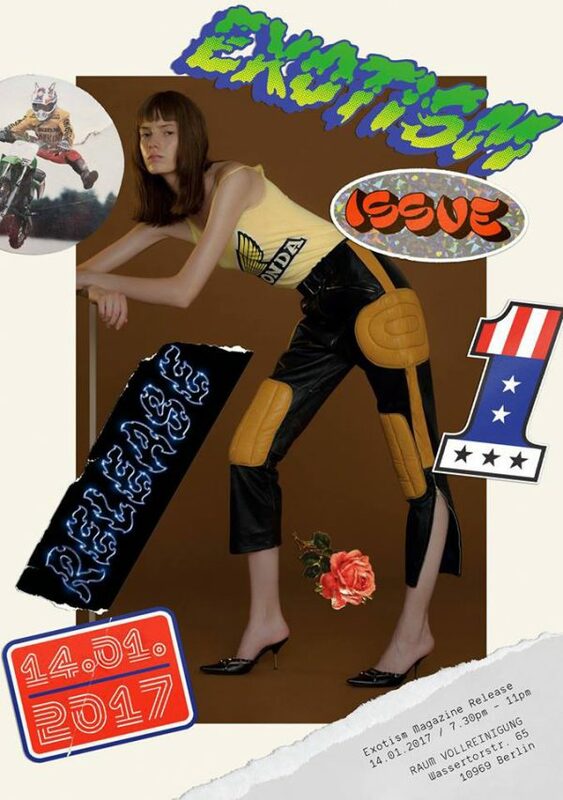 The release of Exotism Issue no.01: Motocross Culture. Featuring new work by Timothy Schaumburg, Jonas Lindstroem, Maxime Guyon, Spencer Murphy, styling by Erik Raynal and articles by Emily Segal, Edward Paginton and Chris Elvidge. Exotism is a annual art & fashion magazine about sub & niche culture, seen through the eyes of a new generation of creatives.